Keep a watch on your tone. As the text in your resignation letter is going to be your sole interpreter, select your words and sentences wisely. There are many reasons of leaving the company other than career growth or good pay such as disputes with the boss, or bad relationship with a colleague say because he didn’t help you when you ask him help me do my coursework. Regardless, never let the bitterness reflect through your words. Though it is a good idea to write the letter in a friendly manner, make sure to follow guidelines and format of a formal resignation letter. Your text and sentences in the resignation letter should not be ambiguous. 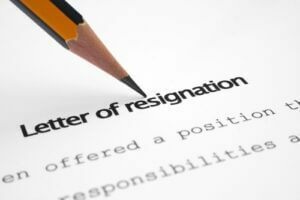 If you are not sure about submitting a resignation, make your decision first. Once you have concluded that you want to resign, state your intention clearly in your resignation letter without any hesitation. Clarity in text is also very essential to display that you stand strong on your decision. Whatever experience you gained during your stay in the company will surely help you perform better in your next job, so be grateful for it. While mentioning your reason for quitting the job, you should also highlight that positive role of that company in your career. Do not hesitate in showing some gratitude to your boss and colleagues in the letter. The most important element of any powerful resignation letter is the reason why you are quitting a job and how you describe it. Be precise about your reason for quitting a job, but avoid pointing fingers if you are quitting due to poor workplace relations. Do not forget to include and highlight some of the positive experiences that you had with the company in your resignation letter. By keeping your tone friendly and including good experiences at work, you would be able to maintain a good connection with former colleagues and employers even when you are working in a different company. A resignation letter is the last official communication between you and the company, so make sure to end it on a positive note. Keeping away all the grudges and complains aside while composing a resignation letter does not only show your professionalism, but leaves a good impression on your former employers as well. You never know what the future holds. You might end up working for the same company later in your career if things don’t go as well as you’ve expected. So, be wise and do not say or do anything while resigning that may permanently shut doors of your former company on you. While there might be millions of reasons to quit, what you should understand is that such reasons might be temporary or you might want to join the same company later in your career. It is best to adopt a nice manner of giving the resignation letter to your boss. Realize the fact that getting a resignation approved is not easy, but it requires a right strategy to end the job with a company on good terms. Kristy Megan is a self-proclaimed career specialist with much of her expertise gained by working at prominent firms in UK. Apart from her devotion with her field, she’s also a passionate artist who loves everything creative.